Last time in our study of Psalm 96, I made the point that structurally this psalm oscillates between calls to praise God through song followed by reciting reasons for praising God. Understanding this structure will help us to discern why God would have us sing this psalm, any psalm, or any song in worship for that matter. We will look more at what this phrase “sing to the Lord a new song” means in a later post, but first I want you simply to notice the nature of singing in this psalm. What is it? What are we doing when we sing to the Lord? Well, David communicates something of the nature of singing very clearly in how he develops the ideas of the psalm. 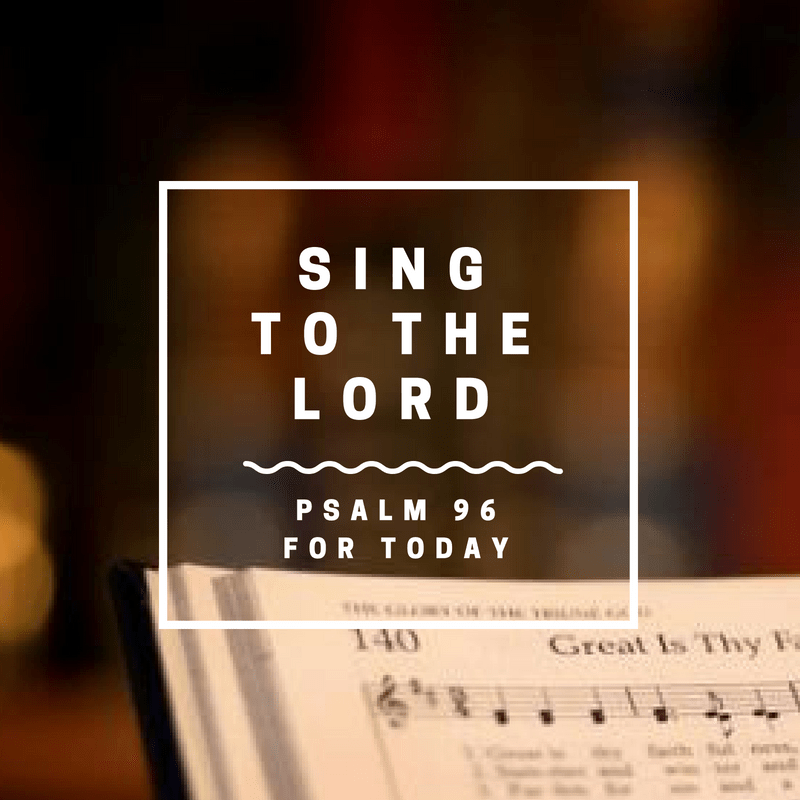 The psalm opens with three commands to sing—Sing … Sing … Sing!—followed by three verbs set in parallel with the three commands to sing: Sing … Sing … Sing … followed directly by Bless … Tell … Declare. David is developing what it means to sing with this additional set of three verbs. To sing is to bless the Lord, it is to tell of his salvation, it is to declare his glory. In fact, David uses verbs grouped in threes in this psalm a couple more times to develop what it means to sing to the Lord. Where is the next grouping of three verbs? Look at verse 7: Ascribe … ascribe … ascribe. To sing to the Lord is to ascribe to him something he deserves, namely, glory and strength, the glory due his name. Where is the next grouping of three verbs? Keep reading in verse 8. Bring an offering … Worship the Lord … tremble before him. This is what we are doing when we sing. Where is the next grouping of three verbs? Look at verse 11. In the English we read, Let … let … let, which reflects well the underlying Hebrew (the second “let” at the beginning of verse 11 isn’t actually there in the Hebrew, so this is another grouping of three verbs). These are called jussives, which are third person imperatives. In other words, these are verbs commanded not directly toward us, but toward others, in this case, the heavens, the earth, the sea, and the field. But still, we have here a grouping of three verbs that explain the nature of the command to sing: be glad and rejoice … roar … exult. You see, David intentionally gives us these groupings of three verbs to expand and explore the nature of singing to the Lord. 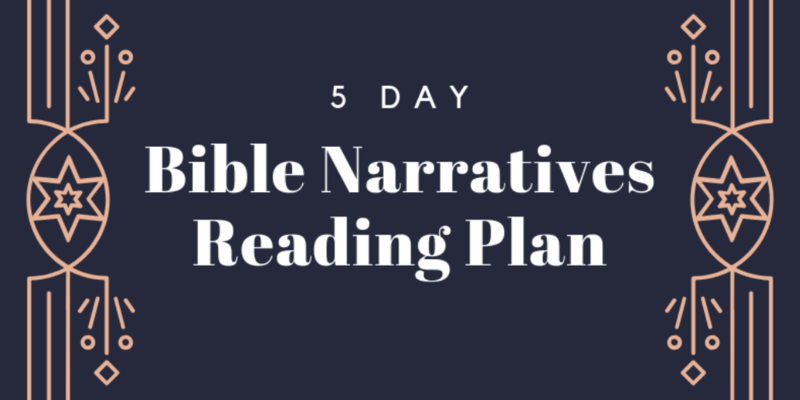 His use of parallel groupings of three reveals that these are not separate ideas; he does not command us to sing and then separately command us to bless, tell, declare, ascribe, and so forth as if these are just lists of things we should do. Rather, in expressing these commands in parallel groups of threes, David is developing one central thread of interconnected ideas. When we sing, we bless the Lord; when we sing, we tell of his salvation; when we sing, we declare his glory, we ascribe to him the glory and strength due his name, we rejoice, we express, and we exult. In other words, when we sing to the Lord, we are not just making music. We are not just doing something pretty or enjoyable. The verbs in these groupings reveal that when we sing to the Lord, profound things are taking place. We are expressing profound affections from our hearts like joy and exultation; we are magnifying God’s glory and strength; we are proclaiming what he has done. And there are other kinds of expressions that are not in this psalm but are described elsewhere. Singing helps us express thanksgiving, and lament, and contrition, and praise, and confession, and grief, and love, and so much more. In fact, singing helps us to express those things to the Lord in ways that would not be possible if we didn’t have song. Singing gives us a language for the expression of our hearts when words alone would be inadequate. We can and should certainly bless the Lord with simple words, tell of his salvation, declare his glory, and exult him with just words alone. But singing helps us to do all of that in nuanced and expansive ways that words alone cannot capture. Augustine said, “The sound of jubilation signifies that love, born in our heart, that cannot be spoken. And to whom is such jubilation due if not to God; for he is the ineffable One, he Whom no words can define. But if you cannot speak him into words, and yet you cannot remain silent, what else is left to you if not the song of jubilation, the rejoicing of your heart beyond all words, the immense latitude of the joy without limit of syllables.” That’s the power of singing.